The Museum of Modern and Contemporary Art Art was founded in 1948. 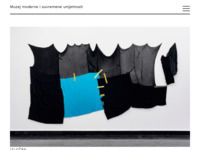 It collects and safeguards the works of Croatian and foreign artists of 20th and 21st century. Besides this, it also collects the works of artists who lived in Rijeka from the end of the last and up to the middle of this century. The treasures of The Museum of Modern Art are deposited into five collections. Due to the lack of exhibiting space there is no permanent exhibition. 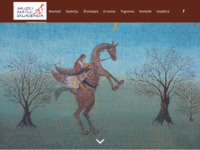 The works from the collections are exhibited occasionally at the thematic and monographic exhibitions. The Museum of Contemporary Art was founded in 1954 and a rich collection of Croatian and foreign contemporary visual art has been collected throughout the decades. The Museum is located a space within the Kulmer Palace in the Upper Town on Katarinin trg 2. A new Museum building in Novi Zagreb has been under construction since 2003. With the moving into the new Museum building planned for 2007, the Museum's permanent art collection will be presented to the public. 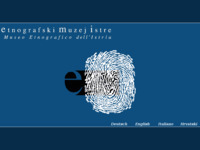 Etnographic museum of Istra in Pazin. Gradski muzej Vinkovci osnovan je 7. XI. 1946. god. 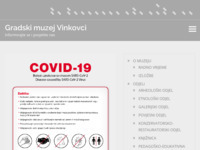 a osnovni fundus činila je otkupljena zbirka Mate Medvedovića kojoj su se nešto kasnije priključile arheološka zbirka Matije Klajna i darovana numizmatička zbirka Benka Horvata. Prvi postav realiziran je 1948. god.s izloženim arheološkim materijalom. U današnji objekt Muzej seli 1950. god. koristeći samo prvi kat, a nakon temeljite adaptacije otvara se stalni postav 1952. god. Muzej je osnovan 1960. godine. Fundus Muzeja Turopolja broji oko 3.500 predmeta podijeljenih u tri zbirke: etnografska, arheoloska i kulturno povijesna. Muzej Turopolja spada u muzeje zavičajnog tipa, te brine o kulturnom nasljedju Turopolja, Pokuplja, Posavine i Vukomeričkih gorica. 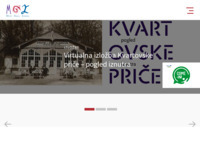 Fototeka Muzeja broji oko 10.000 fotografija, negativa i dijapozitiva, a muzejska stručna biblioteka oko 700 naslova. The museum was founded and open for public on the 400th anniversary of the great 1573 Peasants' Revolt. It is situated in the 18th century baroque palace of the Oršić family and was built at the site of a medieval fort by Krsto Oršić, a member of an ancient Croatian noble family and his rich wife Josipa, born Zichyi. The palace was built in 1756, as is engraved on the entrance portal, where the family's coat-of arms used to be. 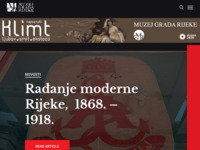 Šibenski muzej utemeljen je 20. prosinca 1925. godine prigodom obilježavanja tisućite obljetnice hrvatskog kraljevstva, a smješten je u bivšoj Kneževoj palači u neposrednoj blizini Katedrale. 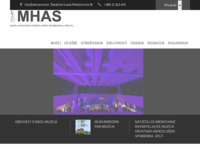 We proudly present the web site of the Narona Archaeological Museum, the first “in situ” archeological museum in Croatia. On these pages, we present the history of the once splendid Narona and the Neretva region, some of the Museum’s exhibits and how to find us. 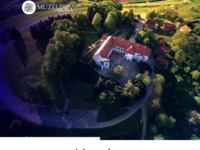 The Museums of Hrvatsko Zagorje are one of the largest museum institutions in Croatia, consisting of five specialised museums situated in places of the Krapina-Zagorje County. Although their collections cover different professional fields they share the commitment to work for the benefit of their local community by following the best practices in their every day museum work. 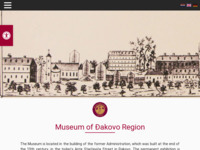 The Museums of Hrvatsko Zagorje are engaged in different projects on national and international level. Professional museum staff puts a lot of energy and time in interactive museum programmes that are based on history and heritage of the region and are quite appealing for visitors and users. The success of our programmes The Middle Ages in Hrvatsko Zagorje, The Summer School of Geology, CRAFTATTRACT, Zagorje Wedding and others is widely recognised, New programmes and educational workshops are being introduced (Legends and Stories from the Castles, Prehistoric Interactive Games, Teaching in the 19thC School, etc.) By creating greater visibility of our museums through good contacts with public and media we have significantly increased the number of visitors and people who are eager to participate in our workshops and interactive projects. Each of our museums is a little jewel, proving that hard work and implementation of professional standards must create good results. In 1952, a contract of donation was concluded between Ivan Meštrović and the People's Republic of Croatia, by means of which Ivan Meštrović donated to the people of Croatia his family house and atelier in Zagreb (later adapted into an exhibition space - the Meštrović Atelier), the family villa with ateliers in Split (which later also became an exhibition space - the Ivan Meštrović Gallery), the sacral and art complex Meštrovićeve Crikvine-Kaštilacin Split, and the Meštrović family vault - The Most Holy Redeemer Church near Otavice. The donation also included several Meštrović's works of art, today the bases of the museum holdings of the mentioned institutions. All of his buildings that he donated make up the Ivan Meštrović Museums. Muzej grada Zagreba utemeljila su Braća Hrvatskog zmaja 1907. godine. 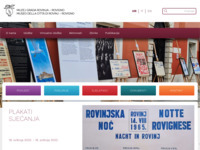 U devedeset godina svoga postojanja Muzej je otvorio tek šesti stalni postav, a prvi put u obnovljenom i odgovarajućem prostoru, primjereno dostignućima suvremene muzeološke tehnologije. Pokazuje prošlost grada Zagreba od prapovijesti – tragovi koji su netom otkopani upravo podno njegova zdanja – do danas. 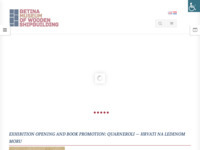 Welcome to the web pages of Umag museum. 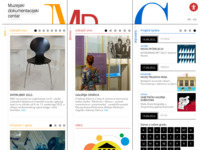 Here you can find an overview of our collections and events. The Museum is housed in a Baroque palace that in the 17th and18th century belonged to the Califfi counts.  It was founded in 1954 by a group of artists from Rovinj with the intention of collecting and exhibiting works of art. The first director of the Museum was the artist Zora Matia. The wishes of its founders have influenced both its content and activities to the present day. The Museum has two public functions – it serves as a town gallery and as a place where its rich bank of works of art is permanently exhibited. During its 50 year long existence, many rich and valuable art collections have been created – like those of contemporary art (about 1500), old masters, ethnology, a library and most recently a collection of archaeological finds. Because of lack of adequate exhibiting space and numerous gallery activities, today only a smaller part of the Museum’s collections can be displayed. Opened on 22nd of September 2007, Club Peek&Poke is one of the few permanent displays of vintage computing technology in Europe. Located in the centre of the city of Rijeka and spread across 300m2 of space, it contains more than 1000 exhibits of the world and local computer history, ranging from very early calculators and game consoles to rare and obsolete computers from the nineties.